I started my finish, a Christmas runner, back in March while I was prepping for my first quilt retreat (see the post “Transformation Complete: I’ve Become My Mother”). 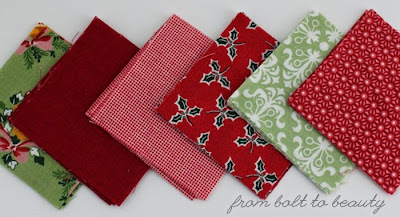 I don’t do much seasonal sewing, but I have a weakness for Christmas decorations and Christmas fabric. I dug through my scraps for this project, a free pattern from the Fat Quarter Shop, and homed in on some vintage-inspired Christmas designs. I then paired them with some not-so-Christmassy greens and some reds that border on coral, and pulled everything together with a white-on-white cross-hatch from Carolyn Friedlander. Eep! I love this runner—it is staying at my house! I’m crazy about the fabrics, the size (the project is a generous 60 inches in length), and the quilting. I’ve been playing with free-motion quilting lately, but my heart belongs to the simple straight-line quilting I used here: randomly spaced horizontal and vertical lines. A note on the pattern: This is an easy project and appropriate for beginners. That said, I can’t tell you how many times I had to rip out stitches because I assembled the pieces incorrectly. Perhaps it was the hours of continuous sewing I did at that retreat. Perhaps it was my halfhearted system of labeling the runner pieces. Just take your time, refer to the pattern pictures, and label the components—you’ll be fine. 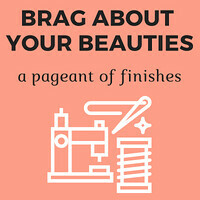 Post your finish in the linky tool. I'm still in the middle of all my WIPs this week so I'm just here to celebrate everyone else's! 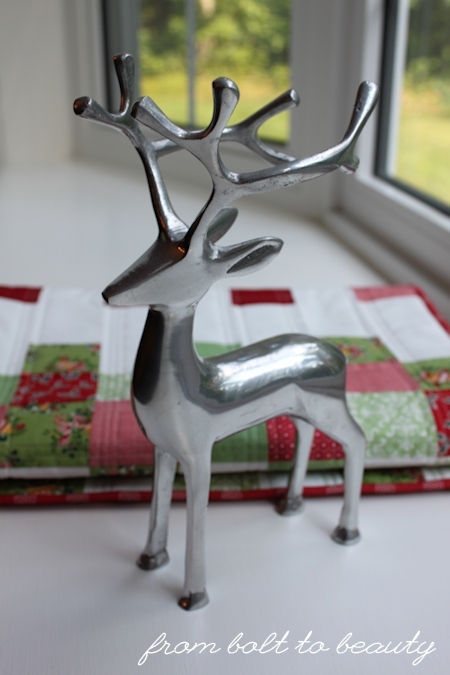 And starting with a gorgeous table runner - what a great way to show off Christmas fabric so everyone gets to see it! Simple pattern but it is so pretty! Thanks for hosting and sharing! 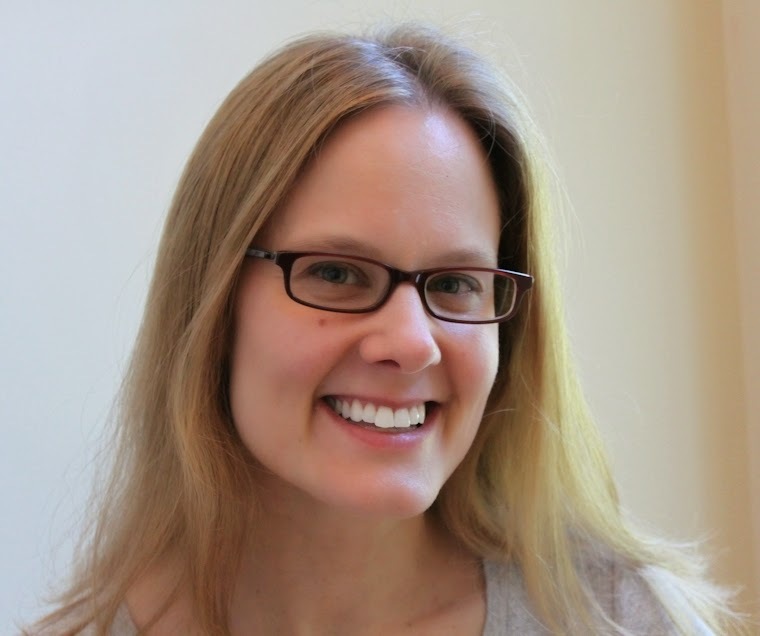 Thanks for hosting this week, Michelle. Your Christmas table runner is lovely. I really like the less traditional Christmasy prints. I have not made anything specific for Christmas decorating in like 2 years but hope to get a chance to make something new for this year. 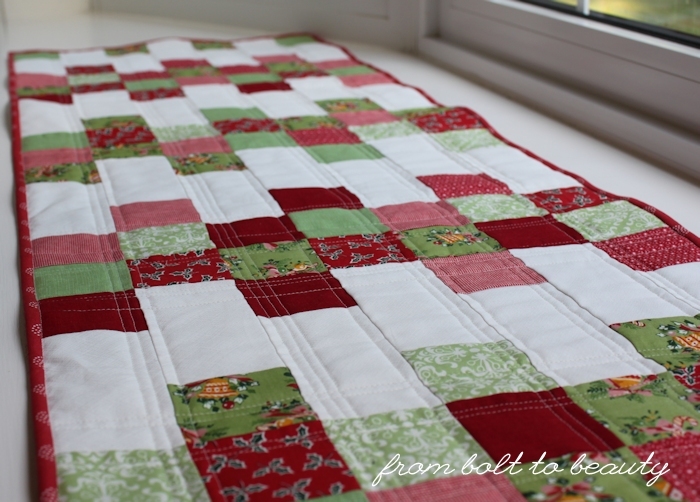 Great mix of fabrics and I agree with you about straight line quilting, sometimes simple is best! Great pattern. Thanks for sharing and hosting TGIFF. Oh the holidays are upon us! Gorgeous little runner! Great job with your table runner, Michelle! Love the quilting detail. Thanks so much for hosting! The table runner looks beautiful!! Thanks so much for hosting this week. Very nice finish. Ilike the vintage fabrics, and the random straight lines. The runner is beautiful - straight line quilting always looks wonderful. 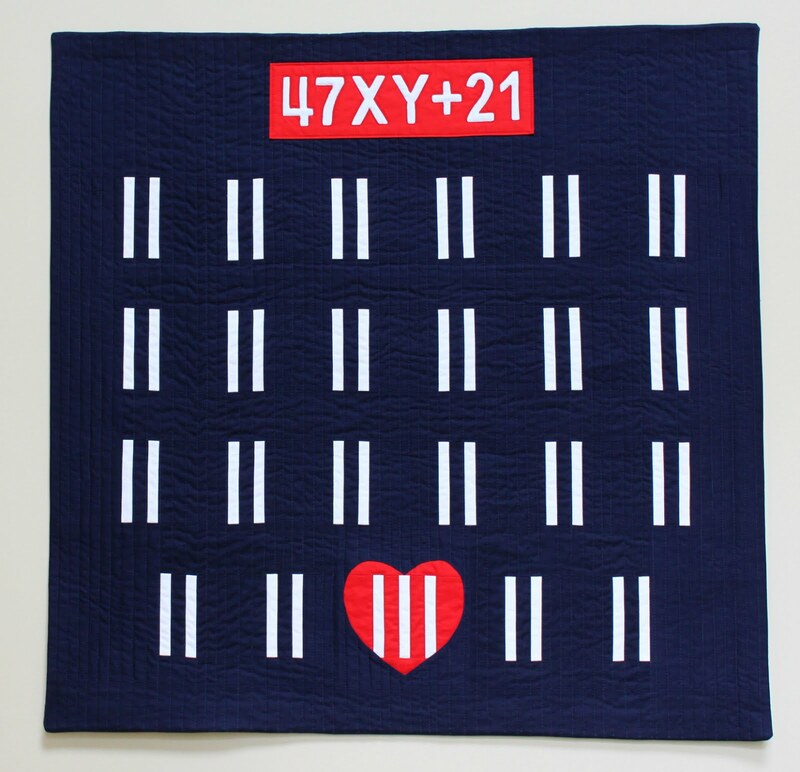 Some of the things that free motion quilters are doing these days are on the verge of mind blowing, but I'm in the same "straight line quilting" club as you. For me sometimes more is just more, which is why I think that straight lines can be such a nice, simple, and understated way to finish a project. Congrats on your finish - looks great! The runner is beautiful.... Such perfect fabric choices! And I love the straight line quilting, too. You have to be looking forward to Christmas this year! I need to get busy on some Christmas projects too. Right now just trying to get the finishes and labels done for my State Fair entries. Turn in is Labor Day. Or maybe something to do with the fact we were discussing all sorts of nonsense and important things! What happened to your Color Me Scrappy quilt speaking of retreat? 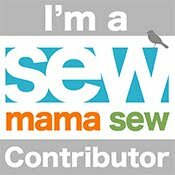 Thanks for linking up to Ho, Ho, Ho and on We Sew too. What the Heck Do I Do with This?